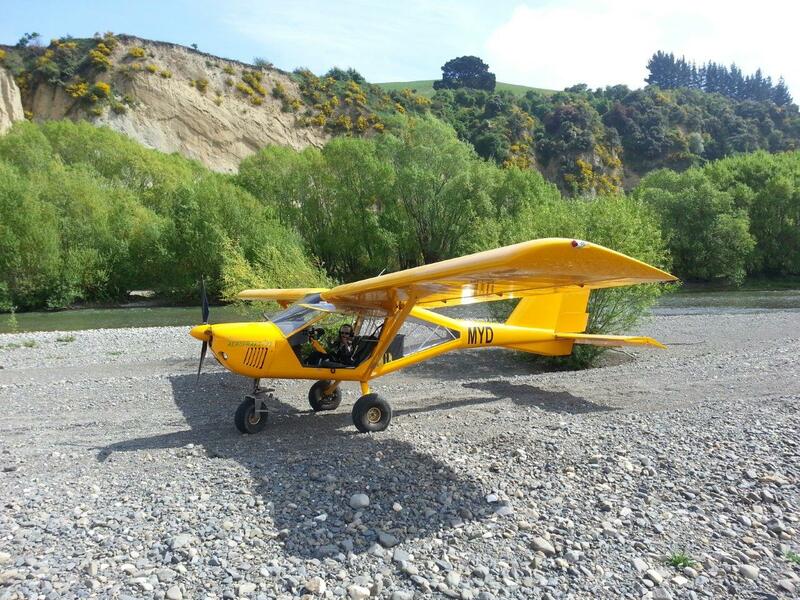 Foxbat Australia has been working with a professional aviation control-lock company to develop a new system for locking the single handle and Y-stick control version of the aircraft. 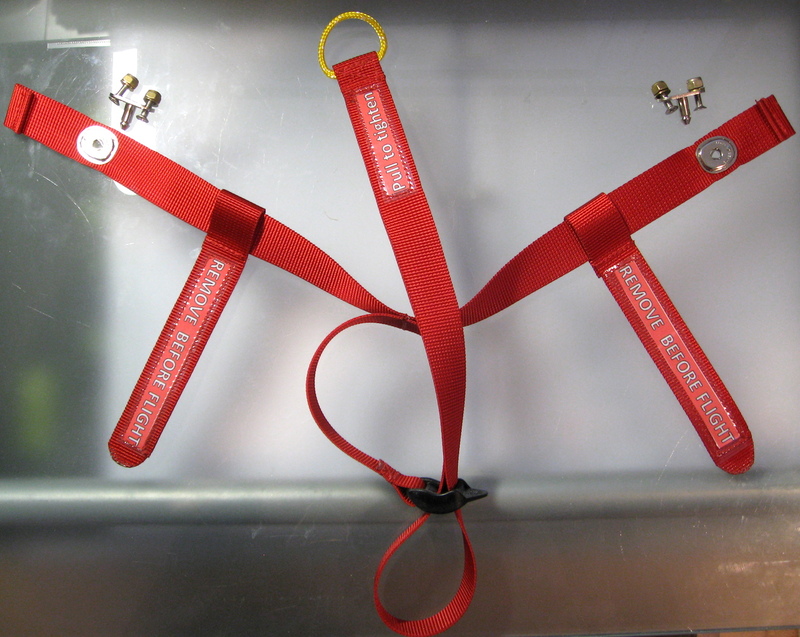 The result is a secure method of locking the flaperon/elevator control stick, suitable for use when the aircraft is parked outside – overnight or longer. This system is not suitable for twin control yoke A22 aircraft. You may recall that as well as instructions in the A22 Pilot Operating handbook (POH) a recent factory mandatory service bulletin advises that when a stick-control aircraft is parked outside, the metal lock-pin must be supplemented with control surface clamps to ensure there is no damage to the elevator rod-end connection due to wind gusts. However, while it is relatively easy to clamp the flaperons at the wing tips, clamping the elevator has proved more difficult. Without access to suitable surface clamps, a number of owners have preferred to remove the lock-pin and instead use the seat belts to lock the controls when the aircraft is parked outside. Nevertheless, the inconvenience of continually adjusting the seat belts, after they have been used to lock the controls, may cause some pilots/owners not to lock the controls properly. Also, some owners do not like the elevator ‘up’ position which results from locking the controls with the seat belts. Worse yet, some owners still rely on the lock-pin even in adverse conditions – risking potentially disastrous damage to the elevator rod-end connection. The new control/gust lock system is an excellent solution to ensuring that your A22 can be parked safely outside in all normal wind conditions, without the need to use either the metal lock-pin, seat belts or surface clamps. It holds the flaperons in a neutral position with the elevator ‘down’. The new lock consists of a red adjustable looped strap, which fits and tightens over the stick. This loop is attached to two forward extending straps which are positively anchored via ‘pin-and-eye’ fixtures (not press-studs) on each side of the centre tunnel. The eyes on the strap ends are quickly pushed into their locked position and are released by pulling down on the strap end. The loop round the stick is adjustable and is also easily tightened and released. 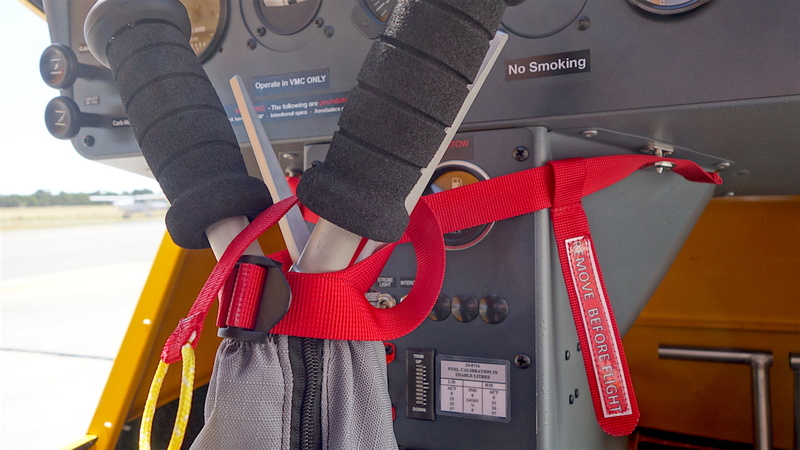 Each part of the strap system is labelled ‘Remove before flight’ and can be easily attached and removed from left or right seats. Installation is very simple, requiring only the drilling of an additional hole each side to accommodate the anchoring pin bolts – which also utilise an existing hole. Now, here’s the good news: during the introductory period until the end of April 2016, the price will be A$55 including 10% GST. After the introductory period, the price will be A$75 including GST. This price includes everything you need to fit the system and full installation instructions. Postage will be charged at cost. If you want one of these control locks, please email info@foxbat.com.au with your name and address to confirm your order. You can pay directly with PayPal or with your credit card via Paypal – we’ll send you instructions. 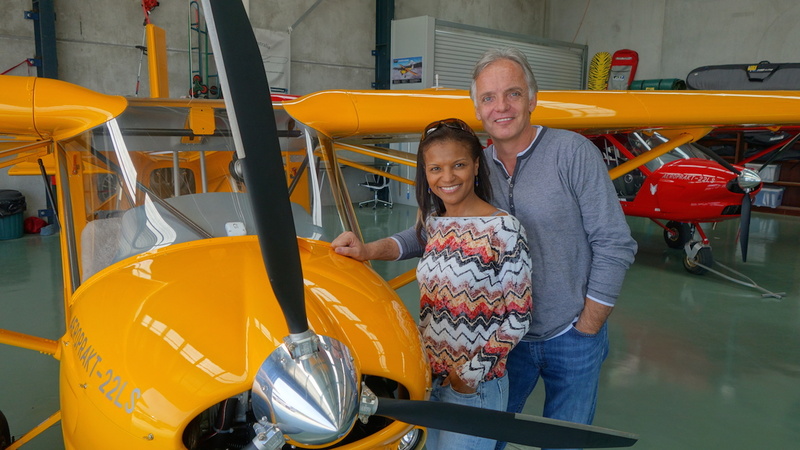 Today I met Jörg (‘George’) Stobel and his partner Faten at Foxbat HQ in Tyabb Airport. Jörg has been involved with Aeroprakt since the early days in the mid-1990’s. Originally based in the UAE (where he still has a home) he is now taking on the role as Aeroprakt agent for Thailand. Jörg also has a home in Phuket (life’s tough isn’t it?) and his demonstrator A22 is kept an an airfield near Pattaya, just south east of Bangkok. I’ve seen pictures taken during his flights between the two locations and they are straight out of a travel brochure – deep blue-green sea, little islets with trees down to the water and tiny secluded beaches. Anyway, I took each of them for a short trip in the skies over the Mornington Peninsula here in Victoria. It was a lovely day, if a bit hazy, but I guess the views can’t really compete with those between Phuket and Pattaya…although both remarked on how green the countryside looks at the moment. Jörg and his partner – who works with Etihad Airlines – are in Australia for a few days to ‘relax, unwind and chill out’. It was great to sit and chat with them over a coffee about the early days of Aeroprakt and hear about the times while they were working to get the business going. But that’s over 20 years ago now and Aeroprakt is close to manufacturing their 1,000th aircraft. I will be offering spares and other service back up & support to Jörg while he is building his business in Thailand, and wish him every success. At the weekend, Jörg and Faten are flying from Melbourne to Sydney to visit friends but we’re hoping to get a couple more flights in before then – maybe up around the top of Port Philip Bay to have a closer look at Melbourne and the bayside. Many thanks to Matt Dowdall, who submitted the first six photos to grace our photo gallery – see bottom RH corner of this page.